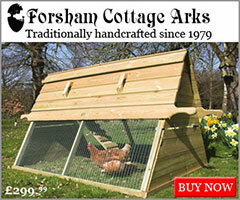 Getting chickens should be a straightforward process shouldn’t it? You find an advert for the breed or type of chickens you want at a price you can afford and you just go and buy them right? Well, yes, in theory it’s like that but there are quite a few pit falls where you can be caught out so it’s a good idea to be aware of these before you go to buy chickens. It takes time to set up the right environment for your new arrivals – make sure you have a secure run and housing and have all of the ‘gear’ you need (my list of what to keep in stock might come in useful here). The birds you pick and take home can very quickly become ill with the stress of the move and pick up any number of diseases. 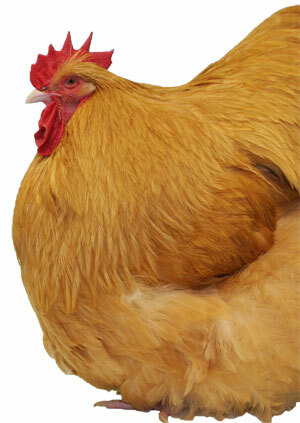 Try to pick the healthiest looking chickens you can. Do not pick birds that are sleepy, wheeze or hold their mouths open (unless it is a hot day), stand fluffed up as if they are cold or birds that have any bubbles or foam in the corner of their eyes. A fit and healthy bird should be active and alert. If you have arranged to go and ‘buy’ some birds from a breeder, the pressure will be on and it is harder to walk away once you are there if you think the birds aren’t up to scratch. So why not say you would like to have a look at his or her birds with a view to purchasing them but possibly not today? The pressure is off and you can take enough time checking the chickens over and making sure you are buying the right thing. I have listed these in order of preference – you are more likely to get better quality birds at the top of this list, not necessarily the cheapest price though! 2. From a poultry show. 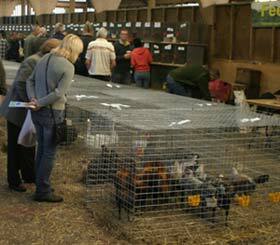 There are often sale pens at shows where you can spend time looking at the birds and choosing the best quality birds. You can even ask advice of others around you or from the experienced show staff. If the show organisers are doing their job properly then they will not allow any birds that look sick to be put into the sale pens. Many of the sale pens at shows will have stock from breeders that are showing their birds and will be of reasonable quality. 3. From a private ad or breeder. These people have usually hatched a few birds themselves or hatch a good number of birds to sell. 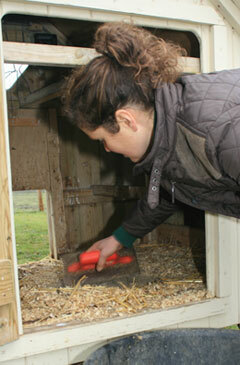 The quality can be variable so you will need to examine the set-up and of course the birds carefully. 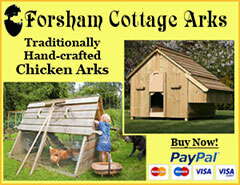 Private ads can be found on poultry forums in the for sale areas. If the forum is a good one, they will make sure a location is specified in the title of the post. 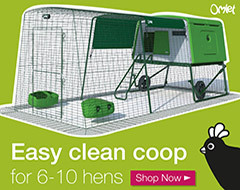 “The Poultry Forum” – poultrykeeperforum.com has a Chickens for Sale section and is a good forum for finding birds for sale in the UK. 4. From a Poultry Auction. Some dedicated poultry auctions can sometimes have reasonable quality stock but be warned, some of the more common livestock type auctions can be a great place for people to get rid of their sub-standard or unhealthy birds. Where ever you end up buying your birds from, if you make sure they are fit and healthy, you generally shouldn’t see any problems. 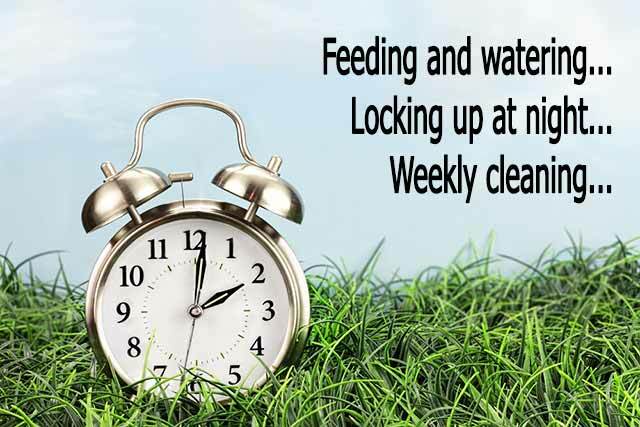 If you already have chickens and are adding to your flock then you can be bringing disease in so always remember to quarantine your new birds for at least a week before introducing them to your flock. 5. Hatching your own. Many beginners are starting to hatch their own chickens, especially now that incubator prices have come down and are easier to operate. With sites like eBay advertising hatching eggs, it is often relatively simple finding the breed you want online although hatching eggs that have been through the postal system can be a little hit and miss at times. My page on How to Hatch Eggs gives you a step by step guide to hatching your own. Finally – Don’t forget to take a box! 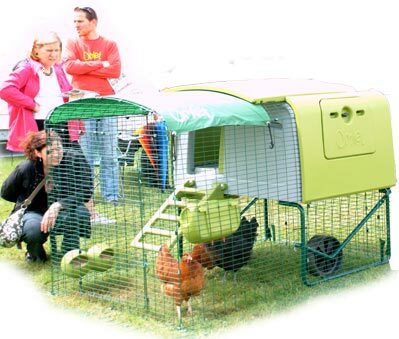 Most breeders ask you to bring your own carriers or suitably sized cardboard boxes to transport your chickens in. If you’re using a cardboard box, it’s important to cut some good size slots in the top and the sides to allow sufficient ventilation. Do not put too many chickens into a box. There should be at least a 4 inches of space around each bird so they don’t overheat. Make sure they travel on the back seat or in an estate / open boot and keep the temperature in the car cool during the journey. I have heard of people arriving home to find chickens suffering from heat exhaustion in their box and sadly on one occasion I heard of someone who had dead chickens when they opened the box! 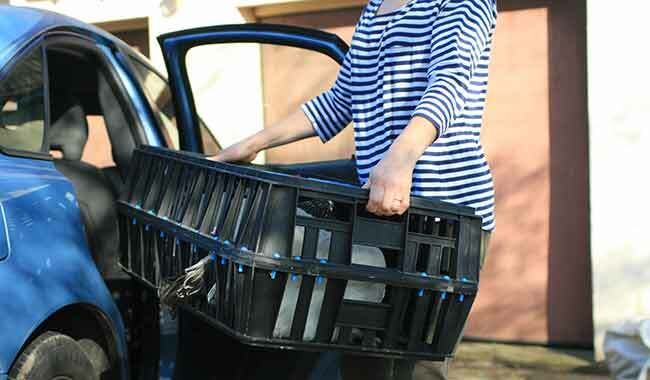 Chickens should be transported in boxes or crates with good ventilation. Hiya what about rescue chickens? I don’t cover rescue chickens on this site because I have less experience of them. 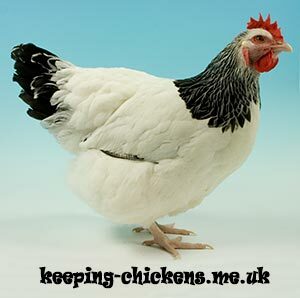 Sites like poultrykeeper have lots of good articles on rehoming ex-battery hens if you do a search.